IAesthetically pleasing design with a White board for writing and Powder Coated Metal Legs adds class and elegance to your living space. Inbuilt Paper Holder helps you organize your document on which you are working. 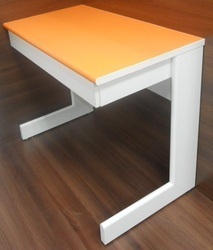 It is a Multi-function study table which doubles up as your Kid's Study Table, Reading Table, Writing table with a White Board and much more. Sq. pipe frame structure pre treated and epoxy powder coated and modular 25mm top with 3 nos, central sliding partition. 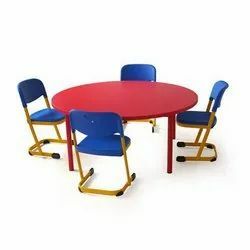 Our clientele can avail from us a broad series of Study Table.